THIS weekend (Saturday 13 and Sunday 14 April 2019), 500 adventure runners will descend on the stunning Isle of Arran for The Ultra Tour of Arran, the audacious 100km off-road running challenge, staged by Rat Race Adventure Sports, one of the UK’s favourite adventure challenge event organisers. Rat Race have reported a 50 per cent rise in numbers from the inaugural event in 2018. Of those, at least 445 are travelling to the west coast island from outside Scotland; from the rest of the UK, Denmark, Netherlands, Dubai, Germany, France, USA, Canada and Belgium, to experience this mythical isle that has been described by some as ‘Scotland in miniature’. 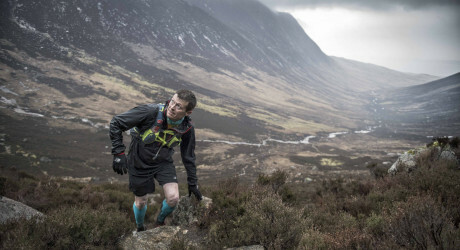 The Ultra Tour of Arran, with its event hub in Brodick, is a two-day, fully-supported and waymarked, off-road adventure run, packing a hefty 100km ultra distance route around the island with an overall vertical gain of 10,679 feet. Jim Mee, MD of Rat Race Adventure Sports, said: “We are very pleased to be returning to Arran in 2019. The island has so much to offer our Rat Racers and their supporters over and above the huge variety of running terrain from north to south. “Being ‘Scotland in miniature’, the island is the perfect outdoor adventure playground for active adventurers from the UK, Europe and the rest of the World keen to experience what Scotland has to offer on a two-day trail run. Rat Race is partnered with Children With Cancer UK, one of the leading national children’s charities dedicated to the fight against childhood cancer, in a pledge to fight the UK’s biggest child killer. Rat Racers have raised over £1,000,000, across all Rat Race events, since the campaign began in 2015. If runners take part in the Ultra Tour of Arran 2019 and raise £750 through Virgin Money Giving for Children with Cancer UK before race day, Rat Race will return their entry fee. For details, go to http://ratrace.com/uta/run-for-charity/. As with all of their events, to ensure runners, their families and friends have the best weekend possible Rat Race will operate from a central Basecamp, for UTA located in Brodick just one kilometre from the island’s ferry terminal. This hub will have all the quality trappings of a Rat Race event – good food and drink, great amenities, friendly and hospitable staff and Saturday night entertainment. A complimentary shuttle service from the ferry, together with camping, full-serviced glamping; and limited paid parking options will also be available. Rat Race Adventure Sports (http://ratrace.com/), a successful Scotland-registered company, now based in York, are one of the UK’s best-known adventure challenge event organisers, providing one of the the largest selection of mass participation multi-sport events and challenges, annually; 50 per cent of their annual events programme is now staged in Scotland. In 2019, Rat Race Urban Adventure Sports, who were forged on the streets of Edinburgh in 2004 with the staging of their first event, The Edinburgh Rat Race, will again showcase Scotland as a world-class adventure destination with achievable multi-sport and endurance challenges on foot, bike and kayak. Rat Race’s original adventure race returns to the wild hills of Scotland. Join 1,000 #RatRacers as they run, bike and kayak over 105 miles following the Great Glen from east to west, through one of the most famous mountain landscapes in the world. Awe-inspiring views and a stunningly epic course await you in the Scottish Highlands. The third edition of the 34.2 mile ultra distance tour of the Scottish capital; a tough, fully-waymarked, mixed terrain route of tarmac and off-road trail running, with 3,000 feet of ascent and descent. From the Braveheart charge down the Royal Mile to the finish at The Commonwealth Pool; with the occasional sojourn totally off road to enjoy the hill top views of the Pentland Hills to the coastal waters and harbours of Newhaven and Leith in the east.